The rigor of life in New York is hectic, and sometimes the stress of the constant go gets to us. Introducing a great way to relax is Binaural Dream, a newly launched unguided meditation app. This meditations found in the app consist of binaural beats which enhance happiness, gratitude, and sleep. 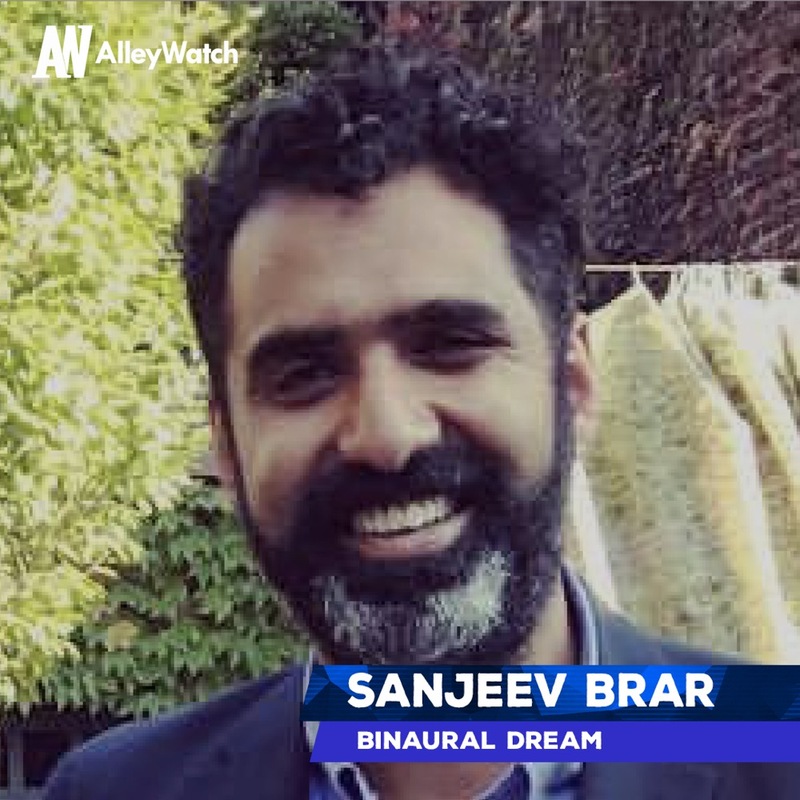 Inspired by the founder’s own struggle moving cross-country to New York and the stress of a corporate job, Binaural Dream attacks a $1.1B industry. AlleyWatch met with founder Sanjeev Brar to discuss the inspiration behind his company. Tell us about the product or service that Binaural Dream offers. Binaural Dream’s mission is to spread health and happiness around the globe through a listening practice that stimulates brainwaves. An iOS App (Android is on its way). How is Binaural Dream different? 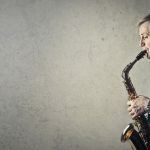 NIH backed research has shown that binaural beats can stimulate brainwaves, increase relaxation, creativity, and essentially overclock the brain. Unlike guided meditation apps like Calm and Headspace, the wordlessness of binaural beats interfaces with our unconscious, allowing thinking to dissolve into feeling. Astonishingly, a product that presents binaural beats as a daily meditation practice with reminders, milestone badges, and usage metrics hasn’t existed until now. What market does Binaural Dream target and how big is it? Meditation training has hit the mainstream as a way to improve mental health and is estimated to be a $1.1B industry in the U.S. The alternative healthcare industry as a whole is in a growth phase and is estimated to quadruple to a $196.87B industry by 2025. (Report Linker, March 2017: Alternative and Complementary Medicine Market Analysis By Intervention, By Distribution Method, And Segment Forecast, 2013-2025). At the same time, the subscription e-commerce market has grown by more than 100% per year for the past 5 years, with the biggest retailers generating $2.6B in sales in 2016, up from 57.0M in 2011. (Forbes, March 4, 2018: The State of the Subscription Economy). Today, the highest grossing subscription meditation app is Headspace with over 18 million downloads, 1 million subscribers, and approximately $120M in revenue a year (headspace.com, June 2018). Most Headspace subscribers pay $14.95 per month. The explosion of alternative medicine and the subscription economy are a once-in-a-century transformation of how businesses and wellness is transacted away from buying one-off health gizmos towards subscribing to services that provide long-lasting benefits and healthy enduring habits. The monthly subscription price for Binaural Dream is currently set to $7.99, 50% less than the most popular meditation apps out there. Binaural Dream also includes an annual pricing option at $59.99 per year, a 35% discount. What inspired the start of Binaural Dream? Last February I found myself in a doctors office trying to figure out why I could barely muster the strength to get out of bed. I was working towards a big product launch, fueling anxiety filled days at a Fortune 250 company with cup after cup of coffee. The problem was the coffee had stopped working. Try meditation? I meditate all the time! I’m a loyal Headspace subscriber! But my Headspace sessions weren’t helping either. Maybe I wasn’t doing it right? Like so many wellness seekers, I turned to YouTube for tips on relaxation and better sleep which is where I encountered binaural beats for the first time. It was an 8-hour track titled “Lucid Dreaming Sleep Track” and it had a whopping 12M views. I slept to the track and for the first time in months I woke up feeling rejuvenated. I repeated the session day after day and over time my life transformed. Unlike the guided meditations of Headspace, the wordlessness of binaural beats was entrancing. Instead of listening to someone explain how to clear my mind, my mind effortlessly followed the tones as thinking dissolved into feeling. I became such a binaural beat junky I started producing them myself, crafting tones for maximum effect, using friends and family as guinea pigs. Last March, I left my job at Viacom in March to work on Binaural Dream full time. While there is a growing trend towards wellness how do you plan to keep up engagement among users? More than an app, Binaural Dream aims to be a lifestyle brand that brings binaural beats mainstream. We’re excited to share this wonderful mind technology by partnering with transformational events and communities. In the coming months, we look forward to introducing Binaural Dream workshops meditative pieces are performed live. I also look forward to growing our content offering. Constantly adding more content to the areas that our subscribers are using most and alerting those users of new content is super important to our engagement strategy. I’ve relied on sweat equity and personal capital to launch Binaural Dream. My immediate goal is to increase the subscriber base to a point of being cash flow positive (e.g. able to pay server fees, rent, etc…). At the same, reinvestment in the product through rapid iteration and user acquisition campaigns across Apple Ad Search and social media will be continuous. We also plan to launch on Android and continue to grow our content offering. Finally, I’m excited to bring Binaural Dream workshops to yoga studios and creative spaces around NYC and beyond. It’s ok and maybe even necessary to feel simultaneously patient and anxious. Charlie O’Donnell of Brooklyn Bridge Ventures seems like a good guy to know. 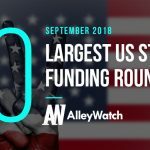 There’s a lot of entrepreneurial activity in the boroughs, and Brooklyn Ventures seems to appreciate that kind of creative energy. They also invest in unconventional, conscious startups like Tinkergarten and Wethos. Binaural Dream is a synthesis of my passion for art, music, spirituality, and technology. I feel like New York City is the only place in the world where so many inclinations can be nurtured at an incredibly high level. 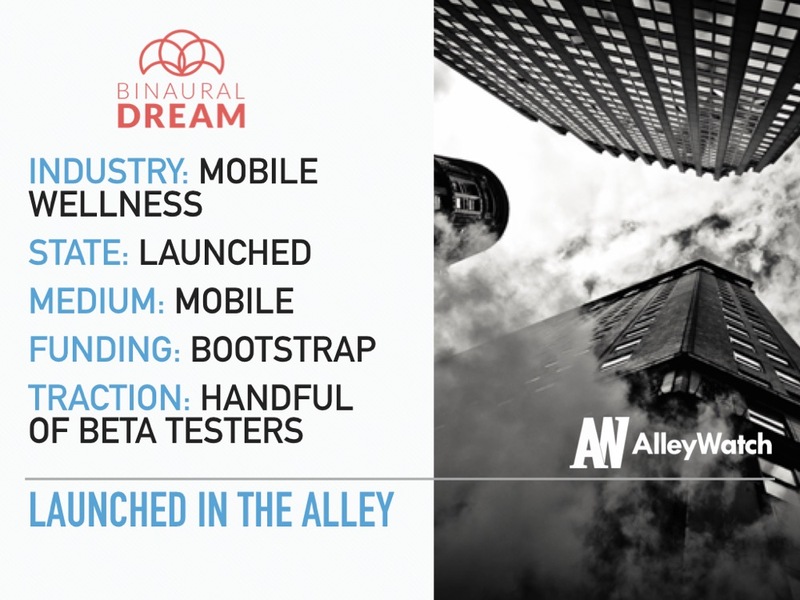 New York City is not a media town, or a tech town, or just a finance town… it’s an everything town and I believe Binaural Dream will thrive on the diversity of culture and ideas that we have here. It was Flattops in Astoria, but it sadly closed earlier this year. For quick eats, I can always go for Los Tacos #1 in midtown or Xi’an Famous foods. For sit down affairs, Sparrow Tavern or Queens Room in Astoria are both awesome. Sorry, it’s impossible for me to pick just one!